From getting food stuck in the dentures, to rubbing and sore gums, Dentures are often uncomfortable. Often wearing dentures makes the wearer gag. From the constant moving around to the potential for losing their grip entirely, people live in anguished silence. Dentures lurk constantly in the back of people’s thoughts, you never drop your guard. Traditional dentures are big, bulky and cover the palate, meaning that eating food becomes a daily chore. Implant Retained Dentures don’t work this way. Fixed Dentures are removable, but firmly retained. The way people feel with a new set of comfortable teeth, fixed in place, is a very real relief. Implant Retained Dentures use fewer implants, which then means a three-month temporary denture is required whilst implants gain stability. These teeth provide stability but are removable for cleaning. 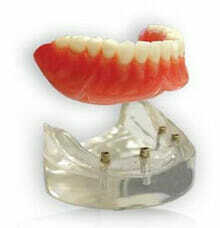 Implant Dentures cost much less than conventional Implant Dentistry. Acrylic or Composite Teeth are fitted in one day on to a strong Titanium Framework. This option is best for stability, with no temporary denture pushing on the gum after surgery. The patient leaves the same day, with a full set of teeth. This is more comfortable, and convenient with fewer appointments. Porcelain is the ultimate in cosmetic excellence for full arch implant treatment. These teeth can’t be done in a day, so a temporary fixed bridge is fitted on the day the implants are put in. The most expensive option, they look fantastically genuine, with that translucent quality, they last. 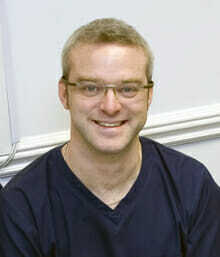 With thousands of implants placed, Andrew is one of the leading Implant Surgeons in the county. Andrew can often be found either poring over digital CT scans or just as often supporting other Implant Dentists to advance their cases. Andrew is married with 3 children. For the last few years, Winning Smiles have been involved with developing techniques placing replacement teeth on the same day. 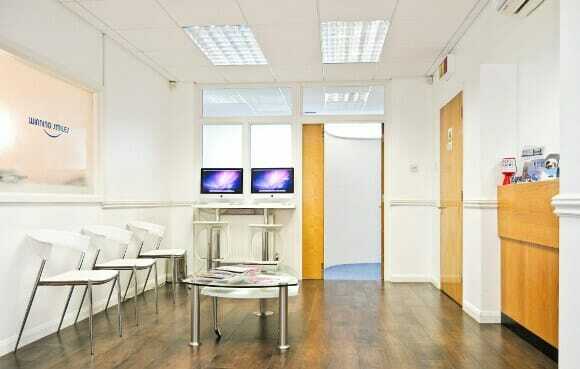 It costs less, is more convenient for the patient and they look great. A real win-win. We can always find a solution. We will never hurt anyone, and we will always respect you. It is a titanium root, fixed into the jaw, to support a new tooth or teeth. Question: What do the new teeth feel like? You wouldn’t know the difference between a dental implant and your own tooth. It’s unlikely that anyone else with either! Fixed implant teeth don’t hurt, as surprising as it sounds. Because the nerves are missing, it’s not painful at all. There may be discomfort, and temporary teeth may be as uncomfortable as dentures are. The implants themselves can be variable, depending on the individual mouth. Some implants have lasted up to 15 years. The teeth themselves are replaceable leaving the Implant undisturbed. 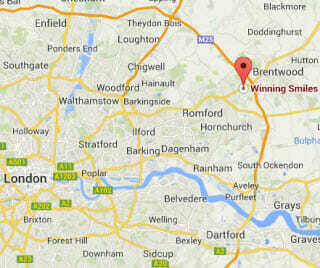 We will do a risk assessment so that you know of any risks beforehand. Yes. And either of the modern methods of tablets, or a line in the back of the hand by a trained Sedationist. Does it matter what type of Implants are used? Yes. The quality of bonding needs to be top notch for advanced Implants. We use the absolute best Dental Implant system that we can find. Without seeing you, we can’t tell you your options. There are always big decisions to be made, and having all the facts will make it easier. There is never any pressure to proceed, and certainly not on the day – we hope our reviews give that impression. “I could write a page on how bad my teeth were before I first visited Winning Smiles. I’d got to the stage where my fear of dentists was outweighed by the embarrassment I felt by their condition. The following costs for Denture Replacement are correct when written, but they can change. We will provide written pricing for each ‘cosmetic treatment’ as part of our free consultation.You don’t have to be a member to have treatment at Winning Smiles.